Pikachu the adorably lovable mascot of the Pokemon franchise is coming at you with a 100000 volts! I've been wanting to get myself some Pokemon figures pretty much ever since I started collecting figures and even more so when my sister decided to reclaim the the bucket of Pokemon figures which belonged to us all when we were young. And at last I've got around to it starting off with this figure, MC-072, from the Moncolle or Monster Collection from Takara Tomy. 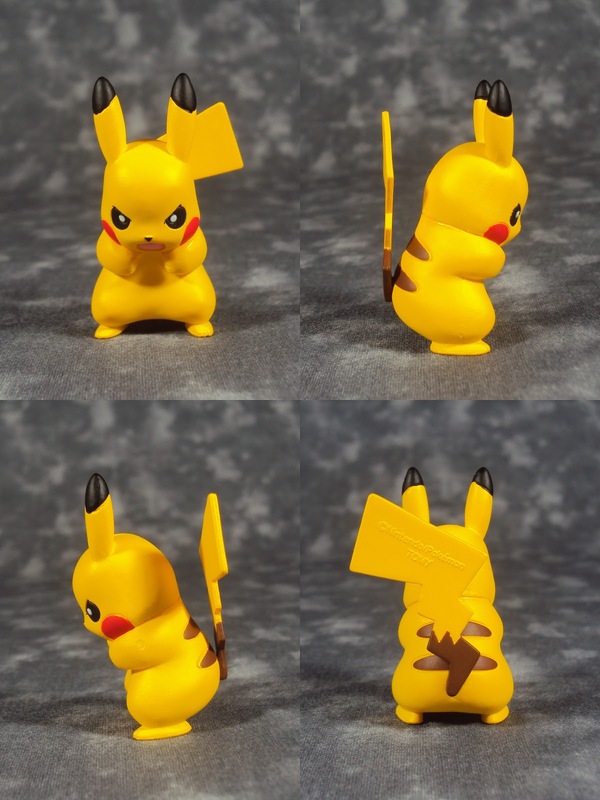 This Pikachu is an about to thunder shock the life out of you pose. I'm rather impressed by the quality of this figure especially since its very inexpensive. The paint work is good, it is a sturdy little figure, and will be great for comics!